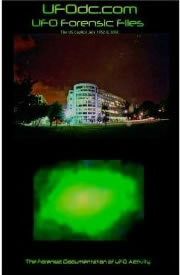 Hyper-Hyper Full Color Night Vision Next Gen: ISO 3.9 Million (Effective 4-13-2018). I have substantial Results. This is an active website. Pictures along with links, are linked to other chapters and website's. This is a Scientific website. The Forensic evidence presented has no religious connotations. UFOdc.com is not associated with Howard University. Washington DC research has been concluded. I'm now focusing on events in Deep Space and Lunar surface. We're now more advanced and offer Hyper Full Spectrum Infrared imagery in UFO Analysis. The American Meteor Society and the inconsistencies in the anomalies (Band of Light) I'm getting. 11-22-2017 UFO Band of Light 4 SM WARP Analysis, the forth of 7. We are no longer in P-53 Restricted Airspace. The basis of my technology is built upon LifePixel IR. Part 2 of my discussion with Richard C. Hoagland. totally black (to the human eye), the camera D4 FSIR experienced superheating, and required shielding from the Sun. (totally closed down), everything within the subjective focus is in 100% focus. The Forensic Authentication of Extraterrestrial Spacecraft (Click on image to Enter). Built upon empirical evidence, this page examines Spheres and Luminosities based on HD examples. with appropriately. Though this page may load slowly, it's well worth the wait! For those that want to capture UFOs with your DSLR cameras, I have explained in detail, my procedures. "Gracias Jaime Maussan para una excelente periodismo y documentación"
Spiritually Naked Radio on the BBS Network. assistance, or technology (which they do not have). is all the way at the bottom of this page, in the film category. My initial captures are film (RMOS) based technology. direct result of Alien contact in the UK as a child. Supportive discussions by Dr. Edgar Mitchell (Apollo 14). My lectures with Dr. Mitchell can be found below. Welcome CMT/MTV/BBC/Discovery/Tom Arnold/Huffington Post/CBS News Washington/Fox News. Welcome to the New Era in Motion Picture Imaging..
UFO Denver 11-08-2012. This Denver reports are a match to what I have been reporting for the past 2 years, in DC. The events described in Denver, are matched by events imaged on video, at the Bradshaw Ranch in Sedona 4-2013. Please go to the POLITICO chapter for this extraordinary update. UFOdc.com is a Professional Research and Production organization. Our associates include esteemed Astronauts, NASA Scientist, Dr. Edgar Mitchell and others. of each documented sample. Windows 10 64 Bit supporting software/AVID/Adobe/Autodesk/Sony. UFOdc.com YouTube channel, has video analysis and supportive data relative to each sample, if applicable. This 2011 sample is reflected in this work. Taken by an automated U.S. Park Service video camera. How ironic, that this anomaly would be a significant contributor to this study. above the cameras constant POV location. now over my home nightly. be made for drift associated to being "hand held". It is an impossibility that this footage is an animation. electrodes. (Forensic sample). 100% match to the objects that flew by the US Capitol Building Dome July 16, 1952. Connecting the dots: AREA 51 NV/Sedona AZ/ Shreveport La, all showing the same things. over my Home. Note this sample and the sample imaged in Shreveport while filming for "My Big Redneck Vacation"
*This frame is the begriming to what is being imaged nightly, over my home, 7 blocks from the White House. 10-26-2012 are full frame digital still samples, 4-07-2013 Nikon HD Video is used. Sedona Arizona UFO were most extraordinary. This sample shows a UFO dematerialize as it warped out. First HD Video examples of UFO Sudden Manifestation and Dematerialization from Sedona Airspace. and study initially implemented onboard MIR International Space Station in 1990.
match to that which was captured at the US Capitol Building July 16, 2002 using Nikon HD Film/Digital technology. Luminous cylinder objects imaged on 60 FPS HD video in this sampling. Buzz Aldrin Apollo 11: Click on sample. "Lens Flares", as believed by the unenlightened. my forensic presentation, which has not been widely accepted by doubters incapable of accepting the truth. We are Not Alone. You may continue to regard this work as bogus; your stupidity will be your downfall. 100% silent* (Continued) with physical samples. The return of the cloaked and vectoring anomalies. relevant to the events I experienced in the creation of this work. Mothership from Baltimore 2008 (Orange Objects) imaged again, in 2011. A cloaked disc, illuminated by the back light of a lightening storm, fly through and make a 90 degree turn! These objects are parking in front of me and my home. NASA and private image samples*, Florida October 2010* The Florida samples are the icing on the cake. On July 4 & 16, 2002, I documented airborne anomalies in Restricted Airspace P-53 (P-51 referenced in this sample*). Orange anomaly consistent with August 3, 2008 in Baltimore, Maryland. will have update dates indicated upon open. "CLOSE ENCOUNTERS @ THE US CAPITOL"
Forensic documentation of a "Close Encounter of the 1st through 4th Kind"
Washington DC 11-30-2012. 85 mm F 1.8 Perspective using 100 ISO and 30 second exposure. No unusual (UFO) activities recorded in this current video sequence. UFO's @ The Washington Monument, July 4, 2010. 1140 frames were taken from a stationary platform at the base of the Monument. In 1 frame were 2 luminous anomalies. They appear in this single frame, at the same altitude but different locations in the sky. UFO imaged @ 1/8000th of a second, in a sequence of images taken 5-28-2011. July 20, 2010: I imaged a slow moving UFO pulse through the sky, then fire an energy beam which extended from it"
July 20, 2010 HD composite of 10 frames taken in sequence. August 3, 2008. Both samples match. anomalies except now they are at hypervelocity. Imaged @ 1/8000th of a second and still blurs..
from the Worlds Best UFO images. 2D, 2.5D, 3D applicable HD UFO bitmap materials. We will also feature custom color textures from Established Artist*. Blu-ray Video Available, contact me. Though it may be impossible to reach me on Facebook, here is my Facebook Link. ProTools 11 (Audio components), and AVID Media Composer 7.0.4. All files mastered DNxHD145 Avid Workflow. This is an Educational Tool and has been produced for Educational purposes.